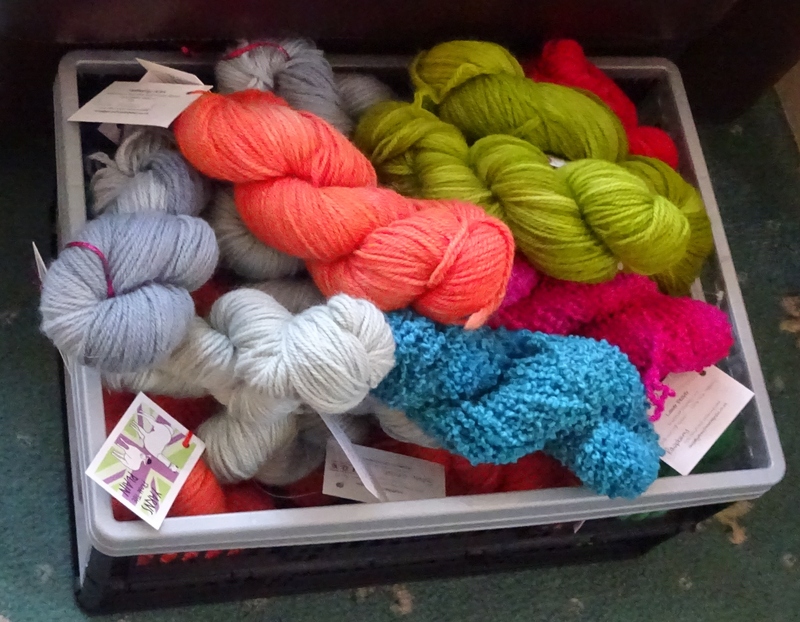 I have just returned from a lovely few days away with my knittery friends! 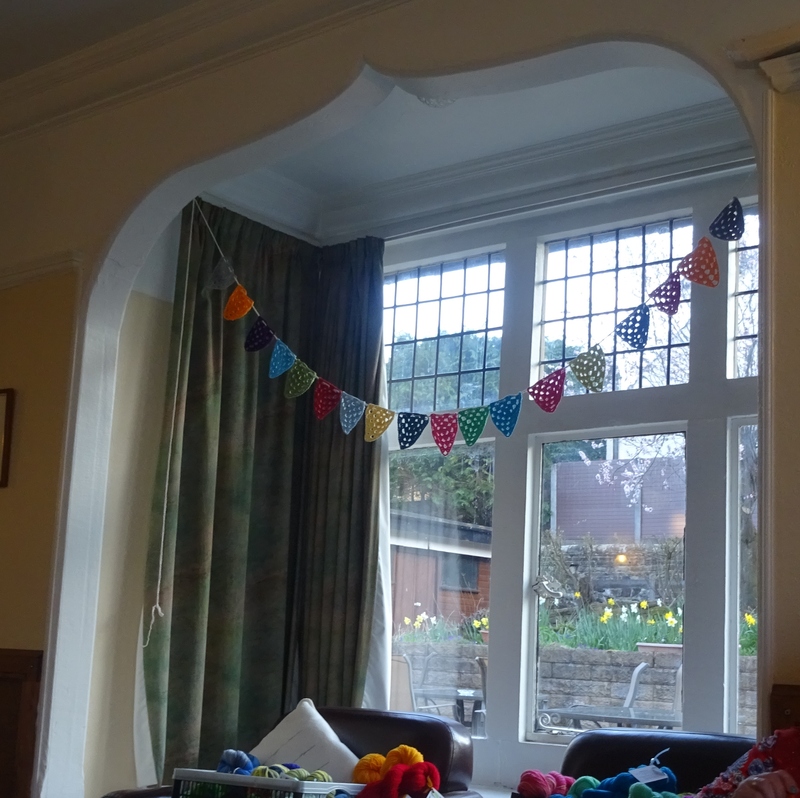 We went to the very same venue as last November – the Alison Park Hotel in Buxton. Buxton is a lovely spa town in the Peak District, with lots of history, and each time I visit I learn more. 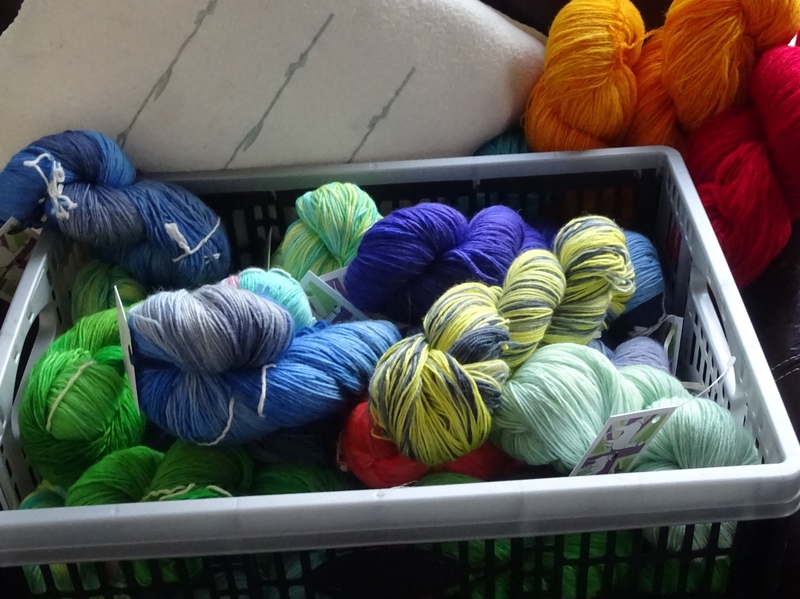 But the main focus of our visit was a knitaway – a holiday with like minded friends where we can knit and crochet, do a little shopping and exploring, knit and crochet, eat a little, knit and crochet, eat a bit more and maybe drink a little….and have a great laugh, good time and share special memories together. I didn’t think it possible, but this knitaway was even better than the last. 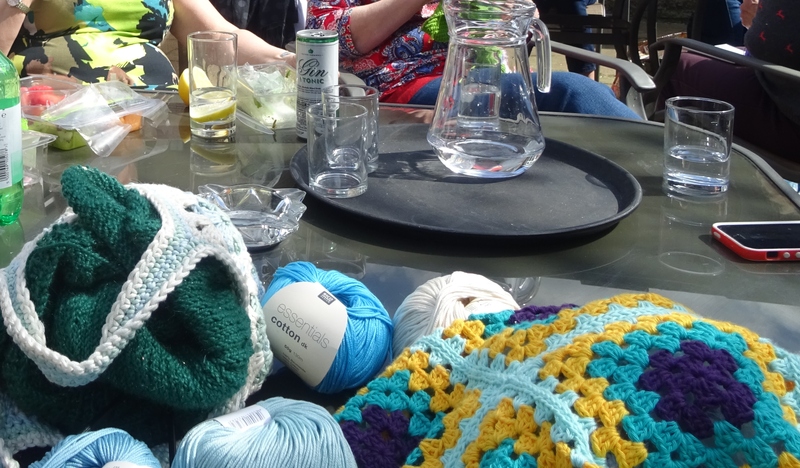 We spent each afternoon on the patio – the weather was glorious and we knitted and crocheted and drank…Pimms on the patio in the Buxton sunshine was fantabulous! 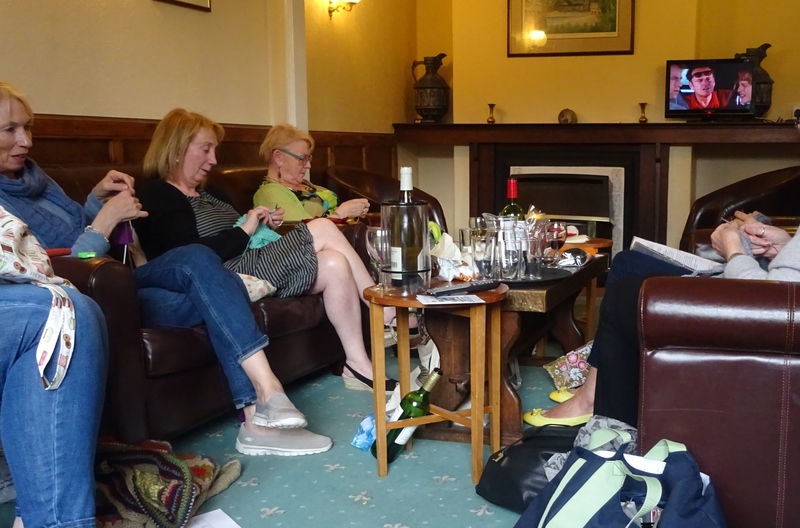 We spent the evenings enjoying our knitting/crochet time……..and we drank a little and watched DVDs and (you just can’t tell from this studious photo) we laughed A LOT! Each morning we fuelled ourselves on an excellent breakfast at the hotel. And each day we walked into Buxton for lunch at one of our 2 favourite venues – Upstairs at Charlotte’s and Number 6 tea rooms. And we shopped – especially at Jantar. And we bought wool at Sew In. And we had ice cream…at least some of us did 😉 And we had an exclusive presentation from Netta of DiscoverBuxton about Mary Queen of Scots and her regular visits to Buxton. And each evening we enjoyed an amazing dinner at the hotel. And each day we enjoyed excellent hospitality from Sara and Dave and the staff at the hotel. And we will be back, because it is a perfect venue for us. 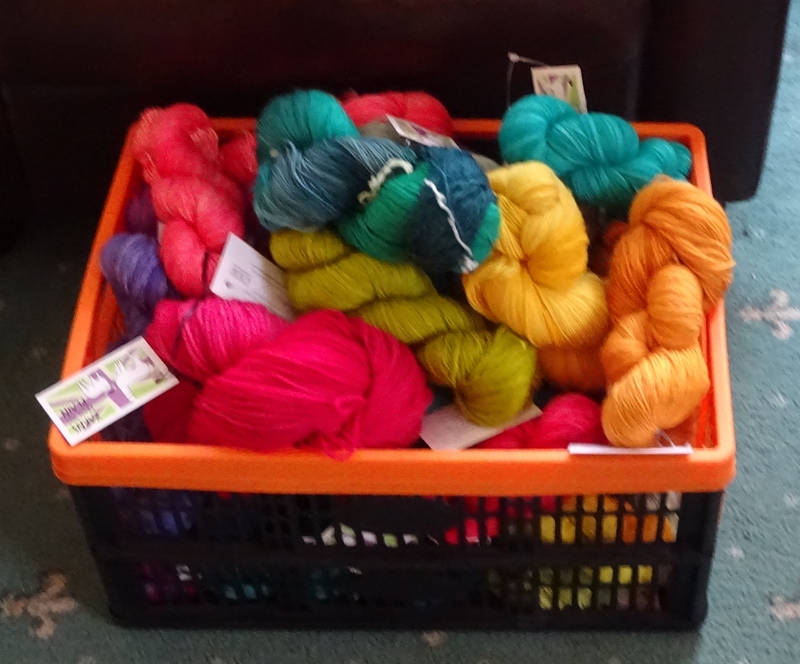 Thank you to my lovely knittery friends for your excellent company and so many great times, and to the hotel for an excellent venue, food and hospitality and to Buxton for a great town and to the weather gods for the most perfect weather. And I am soooooo looking forward to doing it all again!